Home of the International Olympic Committee (IOC) Lausanne has won its bid to host the six-day SportAccord Convention this year. 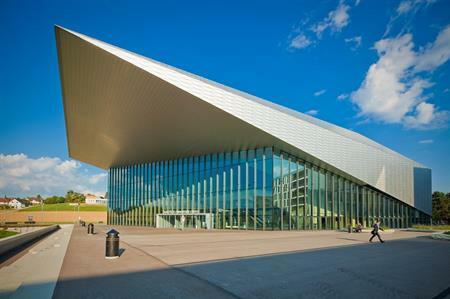 The annual event will welcome 2,000 delegates to the city's SwissTech Convention Centre from 17-22 April. The convention takes place in a different city each year, and was held in Sochi, Russia in 2015. It provides an opportunity for key decision-makers from sport and industry to meet, network, and strategically shape global, regional and national agendas. The Convention is host to annual general meetings of governing bodies and will also welcome a delegation from the IOC. As well as being home to the IOC, Lausanne and the surrounding region of the Canton of Vaud is used as a base for many international sport federations. "What better place could the SportAccord Convention have chosen to hold its annual event than Lausanne, a city which is made for sport," said Thomas Bach, president of the IOC. "For a century now, Lausanne has been the IOC’s home. More than 50 international sports federations and sports organisations have also found in Lausanne the ideal setting to develop and strengthen the place of sport in society." Steeve Pasche, CEO at Lausanne Tourism and Convention Bureau, added: "Lausanne has had an exceptional year winning two major bids for sporting events: SportAccord Convention and the 2020 Winter Youth Olympic Games. The SportAccord Convention will attract the world of sport and will be a great showcase for our city."